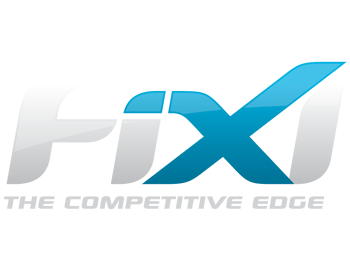 FiXi's powerful scheduling system automatically spreads the match times for each team in a fixture. The system will provide the best possible spread, but will not always provide a perfectly evenly spread of match times as this is often mathematically impossible i.e. since it depends on the amount of teams in the fixture, the amount of available time slots and the amount of rounds. The even spread can also be thrown out by the factors listed below, causing confusion among users. If team preferences have been entered then there will not be an even spread of match times i.e. because if some teams can't play at a particular time then other teams will be forced to play at those times. If team preferences have already been entered you can tick the option to ignore team preferences when creating the fixture. If there are existing allocations e.g. other competition matches, scratch matches and or casual bookings already allocated to the same time slots specified for the fixture then an even spread of match times is not possible. In this scenario the scheduling system will sacrifice the balancing of matches to avoid clashes with existing allocations. To avoid this situation ensure that there are no existing allocations during the specified fixture times and ensure all divisions are scheduled at the same time. If you are extending a fixture it will not take into consideration what time slots each team have been allocated for already scheduled matches. Although the system provides an even spread of match times for each team in a particular competition it does not necessarily provide an even spread of matches between divisions. This depends on the amount of teams in each competition, if the number of teams in each competition are different then it is impossible for them to have the same (or a similar) count for a particular time. If the court availability tool is used to specify the available match times then each competition must completely share the allocations or none at all. In this example competition D will be prioritised to ensure all matches in that competition are scheduled i.e. since it only has half the amount of available match times (1 court instead of 2). For this reason there will not be an even spread of matches. If Competition D was also scheduled for Court 2 or Competition D was scheduled on Court 1 between 1:00 PM & 4:00 PM then there would be no issues.